Don Counts attended fourth through eighth grade, graduating in 1956! Perry Heights Middle School was founded in 1939 as the first public school in the area for grades one through eight. The school replaced three rural schools: Wolf, Schmadel and Bokelman. The school was operated by Perry Township trustees. Ivo Samples was the first principal of Perry Heights in 1939. 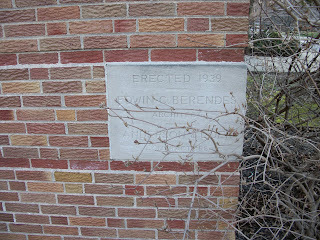 He remained at the school as principal and teacher until 1946. Perry Heights was first constructed as a four-classroom school. It had a gymnasium- auditorium combination, girls' and boys' dressing rooms, a kitchen, and a dining room. Later the students underwent a great change from one-room to a school with indoor bathroom and a drinking fountain. Classes at Perry Heights were relatively small, about 16 students in a class. Classes had one teacher and contained two grades. Unlike today, the students were not allowed to take their books home at night. Therefore, they had no homework!! The students were taught five subjects: English, reading, spelling, arithmetic, and geography. The lower grades were taught handwriting, as well. Perry Heights had one sport, boys' basketball. It was the only school with a gym, so all schools in the league had practices at Perry Heights. All of these schools were part of the Perry Township School District. 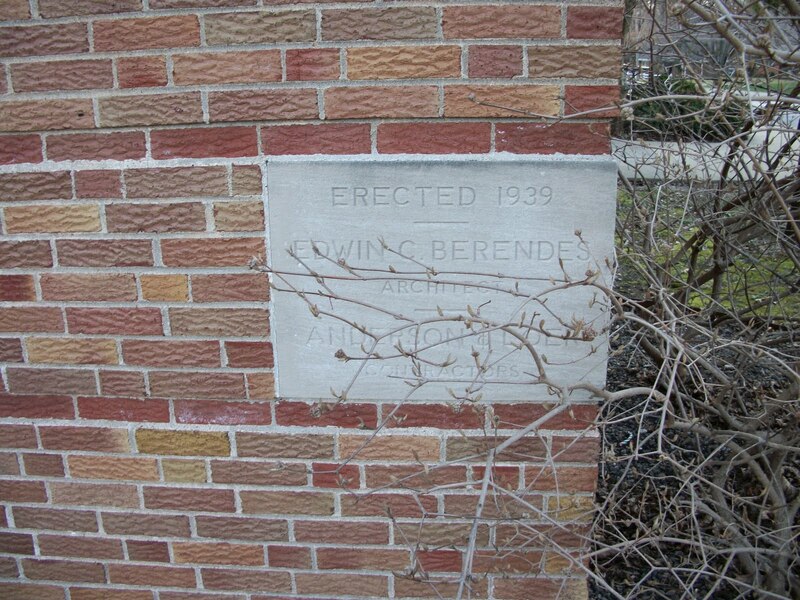 This was before the city and county schools consolidated into the Evansville-Vanderburgh School Corporation. Perry Heights did not have a mascot, but they did have cheerleaders. The building had a major change in 1954. The original building stretched from the side of the present building that faces Hogue Road to the first entrance from the present day parking lot. The addition stretched down to the present office. The old cafeteria was split into two classrooms. In the fall of 1961, the school opened to Kindergarten. 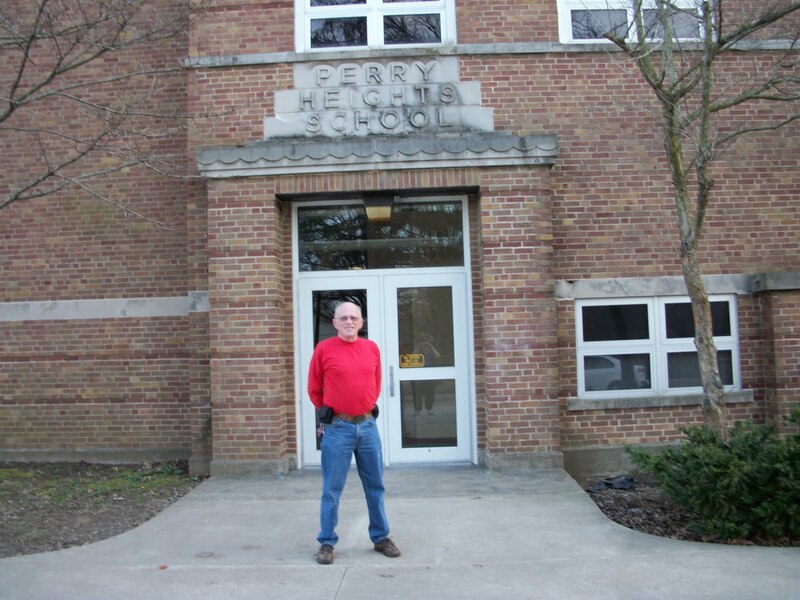 The years of 1969-1984 were times of great change at Perry Heights. One of the first major additions took place in 1969, when Perry Heights expanded and built the T-hall and the basement. The new gym also came along until 1969. In 1971, Perry Heights became a K-8 school. In October of 1978, Perry Heights' sixth grade class completed its first successful weekend at Land Between the Lakes in Kentucky. This became an annual adventure weekend for 6th graders. In 1984, Perry Heights became a middle school. One of the most well-liked changes was the addition of extra-curricular activities such as the many basketball and track teams, to speech teams and the drama program which became known community-wide. One of the biggest changes that occurred during this time period was in 1976 when the school acquired a new gym. The old gym then became a 350 seat auditorium and the school mascot became the "Panther". Since 1989, Perry Heights has not changed much. One improvement that students seem to take pride in is the cafeteria, renamed the "Paw's Diner". Thanks to Principal, Mr. Charles Goodman and his artistic abilities. Since 1994, every morning during homeroom, a broadcast has been made to inform students and teachers of events going on at school. The "PHMS NewsCenter" was born! During the spring and summer of 1996, air conditioning was added for the first time at Perry Heights Middle School. Perry Heights continues to excel in many areas and many of its graduates have excelled in their lives. There are many reasons to be proud of the Perry Heights heritage. We have come a long way and surely we have new heights to achieve. Great blog, so informative. Evansville has so much history and I really enjoyed reading this one.